**MONTH OF JANUARY SPECIAL**Live Resin is produced like BHO, only it uses fresh cannabis, as opposed to dried and cured cannabis, that is flash frozen immediately after the harvest and kept at freezing temperatures through the entire extraction process. Our years of experience and knowledge have created “The Best Damn Dab in the West”. 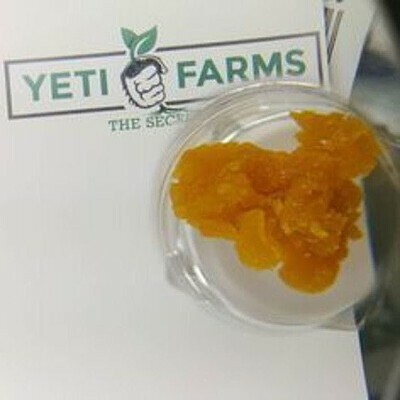 You will enjoy our concentrates extracted from Marijuana grown under the Pueblo desert sun. Our crops are cultivated in a proprietary custom live soil blend that is all-natural.